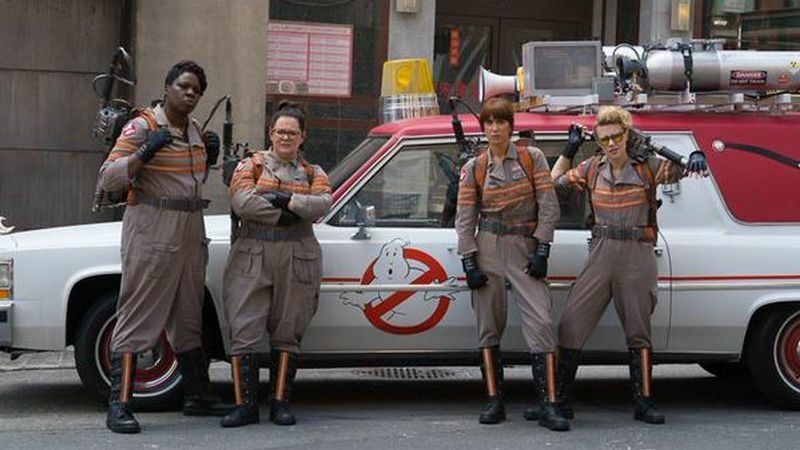 Ghostbusters hits cinemas today but some people aren’t happy about it. The reasons for the hate are varied (and some are fairly dubious), but at least some of it comes from people despairing at seeing a beloved classic remade for a new audience, many of whom weren’t even born when the original was released. Remakes come with a lot of baggage, with many condemned before they even hit the big screen. Not all remakes are bad though. In fact, a lot of them are pretty great. Here are some of our favourites. Taking on a Rat Pack classic is no small feat, but if anyone was up to the challenge it was the early 00s dream team of George Clooney, Brad Pitt and Matt Damon. Directed by Steven Soderbergh, Danny Ocean and the gang’s attempt to carry out an audacious heist at 3 Vegas Casinos is slick and hugely entertaining. John Carpenter turns a B-movie into one of the scariest movies ever, with a shape-shifting extraterrestrial terrorising an Antarctic research base. It’s up to Kurt Russell, sporting one of cinema’s most impressive beards, to take down the alien menace. The Thing is gruesome, tense and petrifying. The ‘bench test’ sequence is easily one of the most nerve-racking, horrific scenes in any movie ever. The Departed is actually a remake of the Hong Kong film Infernal Affairs. The action is relocated to South Boston, although the story of an undercover cop and a criminal infiltrating each other’s institutions and getting some deep doo-doo is pretty much the same. It’s violent, gritty and compelling, and easily one of Martin Scorsese’s best movies. Let The Right One In is one of the most beloved horror movies of the past decade, so there were naturally a few groans when an American remake was announced. Those groans were soon silenced though because Let Me In isn’t just a great remake; it’s a great movie in its own right too, exploring the scary yet touching relationship between a bullied boy and an immortal vampire. If you need a good remake, call Scorsese. This reimagining of the psychological thriller classic sees an ultra-creepy Robert De Niro stalk the defence lawyer he blames for his incarceration, as well as his family. It’s chilling, thrilling and just the right side of melodramatic. Released 50 years after the original, 3:10 to Yuma breathed new life into a classic tale as well as the Western genre. Part of the film’s success is down to the Christian Bale/Russell Crowe power partnership. Bale plays a down-on-his-luck farmer who agrees to transport a legendary outlaw (Russell Crowe) to a train bound for Yuma, facing many hardships along the way. In this American remake of a legendary Japanese horror movie, a journalist investigates a series of deaths apparently caused by a killer videotape and a lank-haired creepy girl crawling out of a TV. We don’t know how it affected VHS sales, but we’ll certainly never watch a blank videotape again. Back in the glory days of 2003, Lindsay Lohan was best known for this incredibly entertaining remake of the 70s classic, in which a mother and her daughter switch bodies. It is still the pinnacle of her acting career, although Jamie Lee Curtis steals the show. Things didn’t look good for Tim Burton’s Charlie and the Chocolate Factory at first. The original is beloved by just about everyone, while Johnny Depp’s creepy take on Willy Wonka seemed more mass murderer than eccentric confectioner. In the end, Burton’s movie stands strong on its own merits. It’s darker than the original but actually more faithful to Roald Dahl’s original book, with more attention paid to Wonka’s origins. It’s great, in a different way. After dominating the world with Lord of the Rings, Peter Jackson turned his attention to everyone’s favourite overgrown ape. While the story is basically the same – a big ape from Skull Island falls in love with a woman and is transported to New York, where he wreaks havoc – Jackson’s use of CGI makes Kong a genuine hero instead of a schlocky monster. This is how modern remakes should be done. What is your favourite remake? Let us know in the comments. Don’t forget, you can buy all of the films in this post, plus many more DVDs and Blu-Rays, from the musicMagpie Store. Prices start from just £1.19 and delivery is completely FREE. What is the best film adaptation ever? Here are some contenders. ← July’s New DVD Releases: Zoolander 2, High-Rise, Kung Fu Panda 3 and more!